Today, we’re talking about hotel phones and VoIP. See, hotel phones have unique requirements. 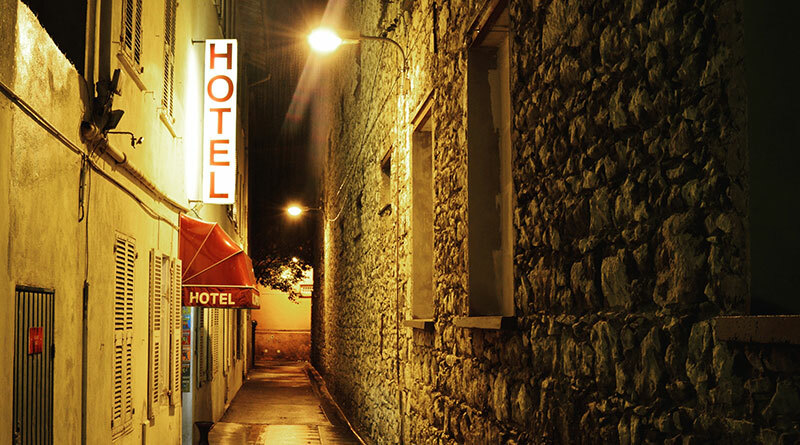 A hotel is an artificial environment of temporary apartments that need to feel like “home” for a diverse group of people. Part of that feeling is created by the telephone, which makes it very important indeed. VoIP allows you to improve the user experience and gives much more control for the hotel. We have recently expanded our incredible portfolio of IP phones to include Teledex hotel phones and TeleMatrix hotel phones. Both companies have years—decades—of experience producing purpose-built hotel phones, including VoIP-enabled phones. But even analog hotel phones can be integrated into a VoIP system using VoIP gateways, ATAs (analog telephony adapters) or channel banks that translate between analog and IP signals. VoIP is making huge inroads into the hospitality industry because of the real advantages it offers. VoIP gives you improved sound quality and increased functionality, as well as simpler control. A question: what does the average patron do with a hotel phone? A large percentage of the time, a hotel phone is just used to call the front desk. Analog phone systems allow you to hardwire lines that can be labelled to indicate “Room 232” or “Suite 34.” A light might indicate an in-coming call. And that’s about all the functionality you get with an analog phone. VoIP phones, on the other hand, allow for more functionality and much simpler integration. Because VoIP runs over IP networks, you only need to use Ethernet cabling to connect the phones. Ethernet cabling is inexpensive and simple to run. So the phones are simpler to integrate. They also improve the customer’s experience. You still get the same “Dial 2 for x” style functionality. That won’t change. TeleMatrix and Teledex know how to design phones that offer clear, simple choices. With VoIP, you can easily add little touches that make for a better experience. For example, with some VoIP phone systems you can make it so the customer’s name is automatically attached to their line, so when they call the front desk, the service agent will be able to easily know precisely who is calling. Personalized service can make all the difference. Of course, these days people need to use the phone however they want. Some hotel phones offer Bluetooth compatibility, so the customer can use a headset. Simplicity also includes the ability of the customer to use their own devices. 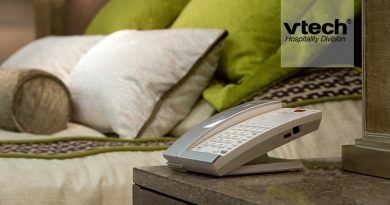 Hotel VoIP phones are now becoming functional hubs for multi-purpose use. They can have USB ports for charging devices. You could offer a choice of Lightning, USB 3.0 or micro-USB cable: then the customer never has to deal with the annoyance of “I forgot my cell phone charger!” All this from the phone. Another part of simplicity derives from the fact that a hotel room needs to feel like a home: the phones need to match the décor. If something looks right, it becomes comfortable. Both Telematrix and Teledex begin with excellent design then add a wealth of colors, accents and customizable faceplates. Your phone will fit the room. The customer-facing side of the hotel phone system is only one part of the equation. The back end is possibly more important. We’ve already covered how installing VoIP phones is easier than installing analog phones. That installation process leads to the primary advantage of VoIP: Ethernet cables handle much more and more complicated data than traditional telephone lines. You can deal with important details like data optimization for optimal sound quality at a granular level. 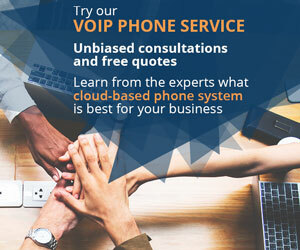 The management interfaces for dealing with VoIP phones are, by this time, largely graphical and intuitive, which reduces training time and increases the ability of the front desk and the admin to manage the system. You can easily set up automatic actions like wake-up calls and Do Not Disturb. You can set up codes to allow the housekeeper to indicate the status of the room via the phone. Call logs are detailed. Your VoIP phones can even be directly integrated with your Property Management System, giving you that much more control. What if you have an analog phone system currently installed? Now, rewiring an entire hotel that already has telephone lines is a huge endeavor, make no mistake. 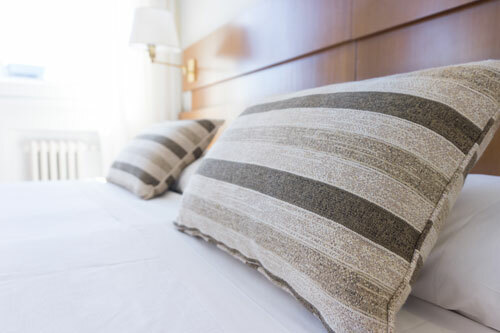 Many hotel managers choose rather to keep their existing infrastructure than run cable to every room. 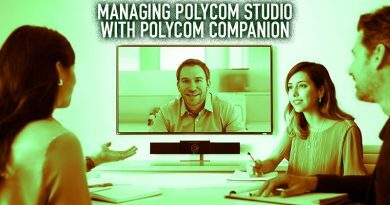 Does this mean that they can’t integrate VoIP? No. Analog hotel phones can be integrated into a VoIP phone system by using a VoIP gateway, ATA or channel bank. In a nutshell, these devices translate signals. You’re able to keep analog phones, plug them into an ATA, then connect that ATA to the LAN. You won’t have the phone-level control of a proper VoIP phone, but you’ll have an endpoint integrated with your computer network. 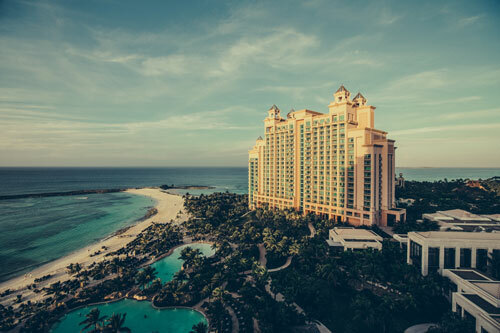 VoIP offers many advantages to the hospitality industry!